Across the globe, one cannot find any laboratory without having different sorts of glass containers such as beaker, flasks, burettes, pipettes and what not. These are the most used glasswares in different processes and experiments in chemical, biological and pathology laboratories. There are various benefits of using Borosilicate glassware in these laboratories. 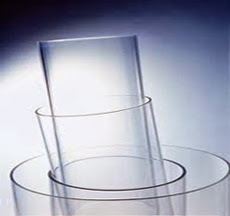 The prime reason for the usage of this glassware is its crystal clear transparency, which is very much required and useful in different processes and experiments. No doubt, there are a lot of more benefits of using this glassware, but before knowing them all, it is very much required to understand the borosilicate glass. This glass is basically produced by the chemical process of silica and boron at a high temperature. After mixing different chemicals and processes, this glass is produced first in liquid form, and then, cooling of this liquid produces Borosilicate glass. It is known for different positives, which are very much required in the laboratory. There are many advantages associated with other than mentioned before. Having the element of glass, it does not react with different chemicals filled in it, and so helps to provide the most accurate result of the experiment, as well as, the best result of a process. As it is made of glass, one can see the result and experiment through the container during the process and experiment, which helps the lab professional to intervene the process or experiment if required. Even in case of any severe variation, one can easily notice it and take necessary actions. This glass is majority inert to each material, and so it is highly reliable, however, the case is not same with hydrochloric acid. • Known for chemical resistance: Majority of the chemicals can be held in this glass container including chemicals with atomic radiation. So it is considered as the safest for majority chemicals and contents. • This glass is also resistant to heat, and so if any chemical is required to provide heat, it can be given heat holding in any of the flask of Borosilicate glass as the heat cannot break the glass. In case, the glass is not having this property, it can break in the mid of the process of experiment or process and can be risky for the user. • This glass can be used equally for cooling purposes, as well. Many a times one needs to cool the chemicals and hold them. So in such case also, these containers made of Borosilicate glass are equally useful. This glass has many such benefits, which have made it equally popular among the lab professionals and people who deal with it. These qualities are primary drivers of its popularity and demand. Because of these qualities, this glassware has got such a position in the laboratory that cannot be changed easily by any other material.